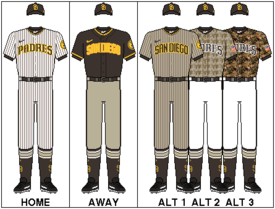 For the minor league franchise in the Pacific Coast League, see San Diego Padres (PCL). "Padres" redirects here. For the Chicano priests' organization, see PADRES. For other uses, see Padres (disambiguation). Wikimedia Commons has media related to San Diego Padres.